Top Freezer Refrigerators - An Option Worth Considering? If you are doing research on new refrigerators, choosing the style can be one of your most important considerations. Many of today's consumers are looking for French door bottom freezer models. Some consumers love the once-popular side by side models. However, if you are constrained for space, have a limited budget, or simply prefer a traditional style, a top freezer refrigerator may be a good fit for you. As their name suggests, top freezer refrigerators have the fresh food compartment on the bottom and the freezer on the top. 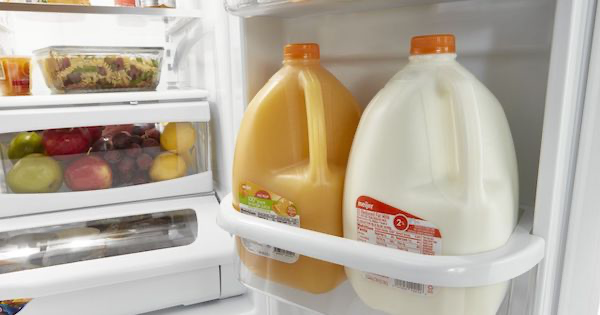 Does thinking about a cluttered refrigerator cause you instant stress? Do you lose things that get pushed to the back of the shelves or have trouble fitting everything in without creating piles that you'll have to dig through all over again later on? 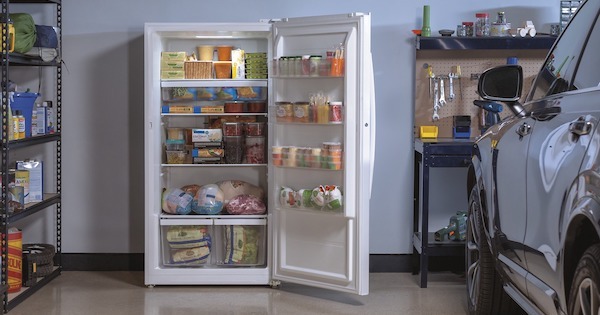 If you're in the process of buying a new refrigerator, taking a closer look at the interior organization is a must. Factors like the style and configuration of the shelving and bins as well as the door storage and other features are all important considerations (check out our refrigerator buying guide for more info on choosing a new fridge). Keeping your food organized and in plain sight can help reduce spoilage and prevent the "I didn't realize we already had some, so I bought more" problem. We'll go through some of the many refrigerator organization options to consider when buying a new model to help you decide what options are a must-have. 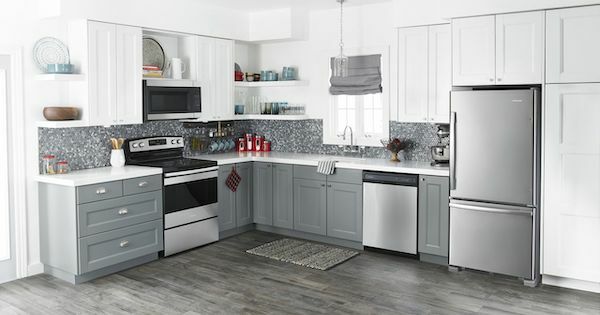 French Door vs Side By Side - What's Right for Your Kitchen? If you are shopping for a new refrigerator for your home, you've probably found the French door style tempting due to its popularity and its prominence in stores. 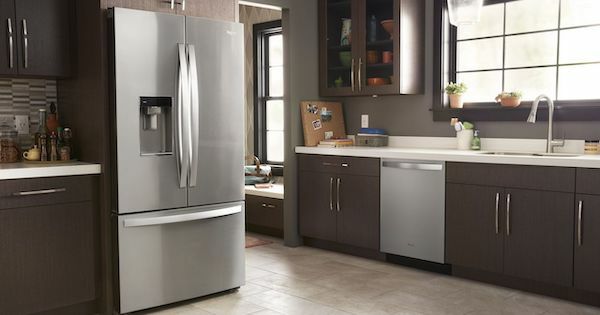 French door refrigerators took the market by storm a few years ago and haven't slowed down! But before you make the plunge, it can't hurt to take another look at the side by side refrigerator style. 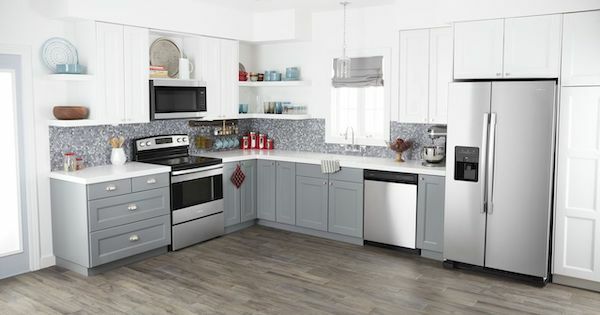 With their modern features and styling, side by sides may be a good option if you consider the shelving options and the efficiency of the food storage. 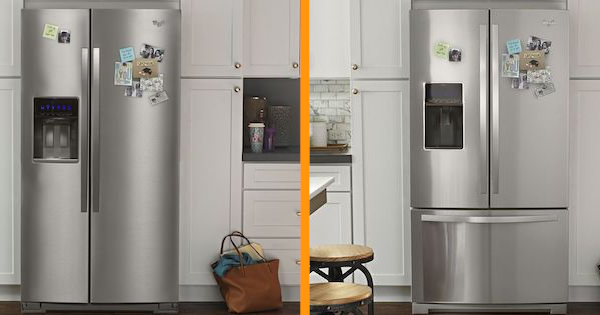 New ice maker designs give you more shelf space in the freezer section, too! They can be a great alternative to French door models for budget-conscious shoppers. It's a tough choice – so let's dig into the pros and cons of both styles! 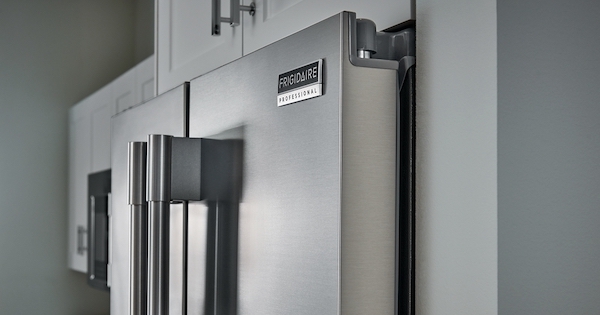 (Quick tip: If you're looking for more info on choosing the best refrigerator for your needs, check out our refrigerator buying guide!) We'll also review two top-selling models from each category. When you are researching a new refrigerator, the choice between counter depth and full depth can be an important one. This is especially true if you have a kitchen with a built in cabinet opening for your refrigerator that is finished on one or both sides and has a cabinet above it. 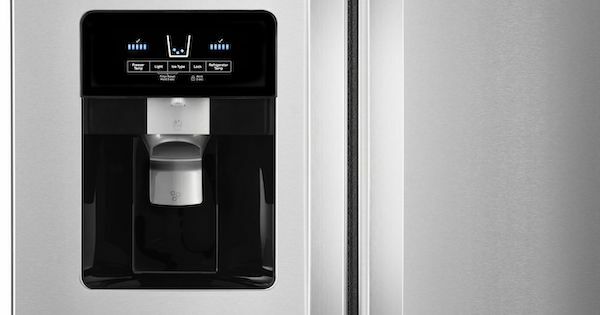 When you are looking at refrigerators, you'll want to be sure to notice the difference between counter depth and full depth models. 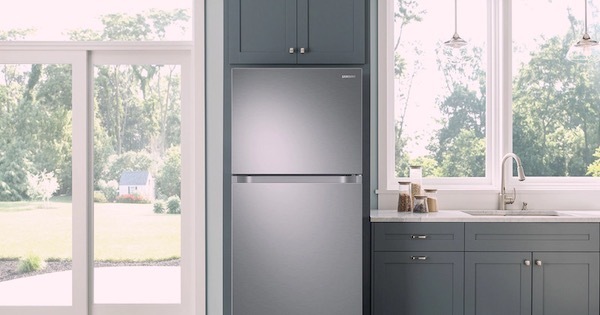 When searching for a new refrigerator, you'll probably want to consider all of your style options: top freezer, bottom freezer, French door, side by side, etc. In this blog, we take a close look at a question you may be asking - what is a side by side refrigerator?